Join us for a trip around the world, without leaving the city! 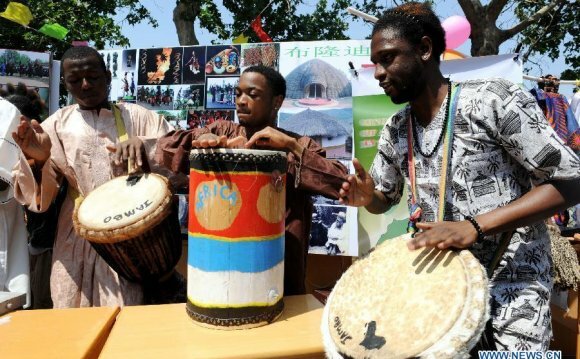 World Culture Fest is an international celebration of countries and cultures around the globe including Asia, Africa, South America, Europe and America. Dive deep into Cincinnati’s rich immigrant history through educational booths, musical performances, dancing and more. Experience a weekend in the ethnic “salad bowl.” Be moved by traditional dances of Panama, hear the exciting sounds of the banjo, and learn the art of origami, all under the same grand Rotunda dome. This event will celebrate connection, collaboration and compassion. You’ll be inspired by the unique blend of Cincinnati’s diverse cultural groups and learn how these groups put aside their differences to live together in the city we all call home.